The meaning of your story is created by the dilemma that drives every scene, not merely by its conclusion. You are putting your characters in a situation that reflects a powerful and ironic emotional dilemma that will resonate with your audience. Watching your characters grapple with that dilemma, scene by scene, will create the meaning of your story as you go, regardless of the eventual outcome. The endings of some great stories have been reconsidered and reversed at the last second. Some movie have decided to flip the ending during production, because the director and writer got to know the characters better as the footage came in, and they belatedly decided that it would be more powerful to have the opposite outcome. In the script for the great downbeat skiing drama Downhill Racer, Robert Redford has acted like a cocky jerk all season, and his coach has tried and failed to humble him. In the world championship at the end, Redford has been seeded way down in the rotation with all the weaker skiers who have to use the bad snow after the superstars are done with it. Nevertheless, he pulls out an amazing time, beating all the great skiers who were seeded far ahead of him. Everyone had thought the competition was over, but now he has leapt out from the ranks of the obscure late competitors and into first place. Suddenly everybody swarms around him in awe, even his coach, instantly treating him like the superstar he always thought he was. It was all worth it: He proved everybody wrong. …But then everybody suddenly turns away: an even lower-ranked skier is now coming down the mountain, and he’s doing even better than Redford! 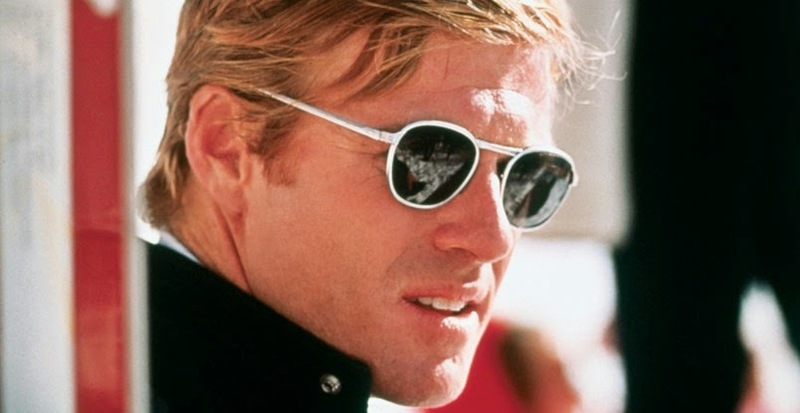 In Oakley Hall’s original novel and James Salter’s original script, this new skier does indeed beat Redford’s time, and Redford is instantly abandoned: his dream of glory lasted only a few minutes, and now it’s gone, leaving him to face the wreckage he has made of his life and relationships. In the final movie, the same sequence of events happens, and everybody turns away to see this new skier who is beating Redford’s time…but then that skier has a horrible accident halfway down and ends up a crumpled wreck on the slopes. All of those fickle admirers instantly lose interest in the new guy and turn their adoration back towards Redford…but he can’t smile anymore. Yes, he’s a champion now, but he’s seen his future. All of the adoration is fleeting and phony, and he will always one wreck away from becoming a forgotten has-been. I think that the new ending is clearly better …but in the end it doesn’t really matter. The total events of the story have already created the story’s meaning, regardless of how it ends. Chinatown also changed the ending on the set to be much more powerful: In the original, the villain is killed by the heroine, who is taken off to jail, despite the efforts of our hero to explain why she had to do it. In the final version, the cops kill the heroine and the villain wins absolutely, totally devastating our hero (and the audience). But would the movie have been rendered meaningless if they had gone with the original ending in which the villain was killed? Of course not. The ending would have had less punch, and a totally different “point” would have been made, but once again it was the total events of the story that created the meaning, not the final conclusion. The overall thematic dilemma, “Must you destroy the present in order to create the future?”, has already been driven home by every scene. By the time we get to the end, it doesn’t really matter what the “point” is, we’ve already felt the theme in our bones.